The kitchen is often called the heart of the home. You prepare and serve nutritious food for your family there, and you also congregate and share about your day in that space. Lots of memories are made as we bond over food. My “food” memories from childhood include growing much of our own food, and canning and freezing it. We canned grape juice, tomato sauces, peaches and green beans; we made homemade bread, pizza, rolls, and my mother made and decorated gorgeous cakes for people. We did all of our culinary adventures in a super tiny kitchen, but my mom kept it tidy and organized, and so it was a productive and pleasant space. A clean, bright and well organized kitchen, can help set the stage for pleasant memories from your kitchen. Now don’t get me wrong, I don’t mean being obsessive compulsive about things, just that an orderly space is a much more comfortable, efficient, and pleasant space to be in! 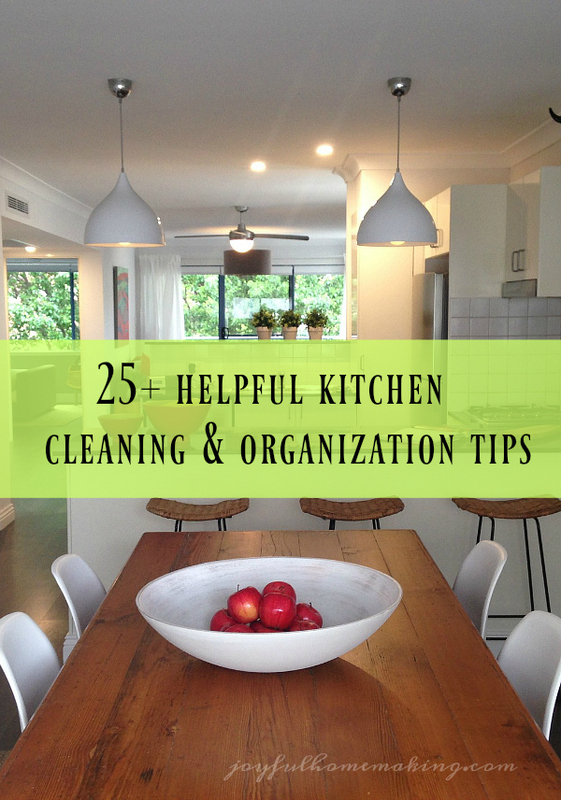 as you create an orderly and productive kitchen. 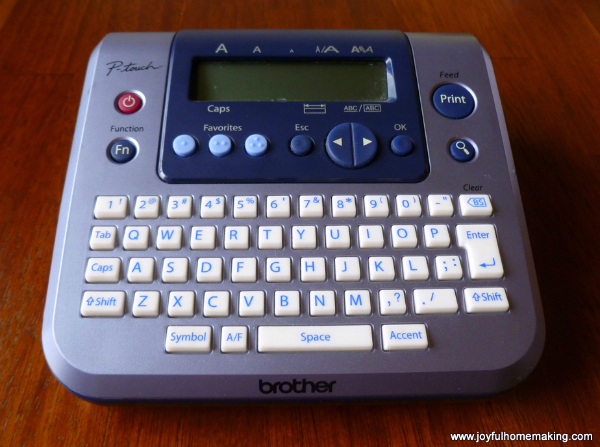 A label maker pays for itself over and over with less clutter and headaches! It reminds everyone where things go, so supplies are easier to find. 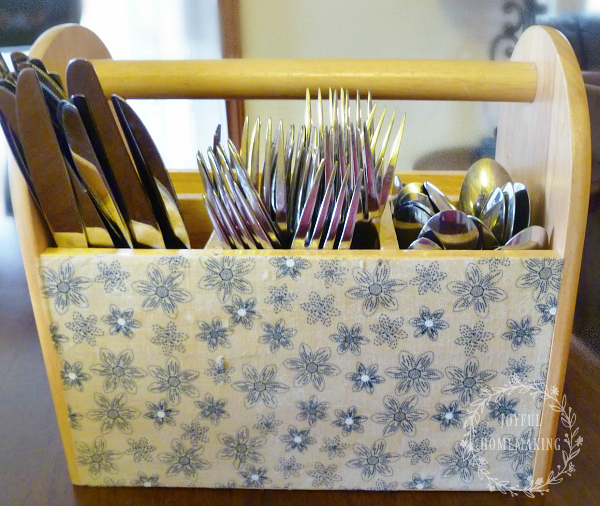 I have lots of company, and to make utensils easier to find, I like to keep mine out in a silverware caddy. You don’t want you cookbooks to get splattered with food or liquids from laying on the counter while you’re following a recipe. 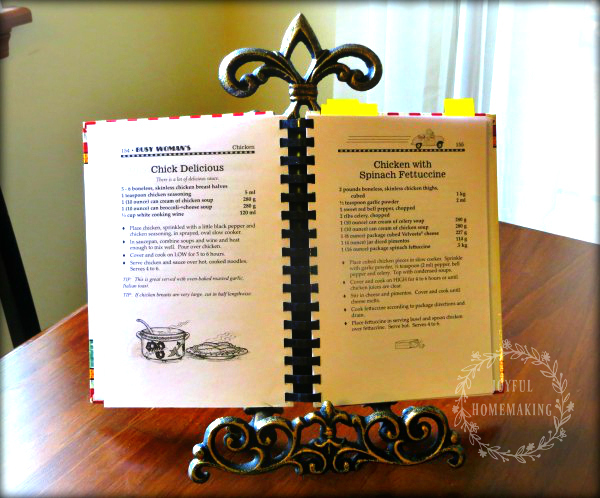 So a great way to keep them up off the counter, and still be able to read your recipe, is to use a picture/painting/plate holder, and set it wherever you want. You can also use these stands to hold a tablet to listen to something as you’re working in the kitchen. 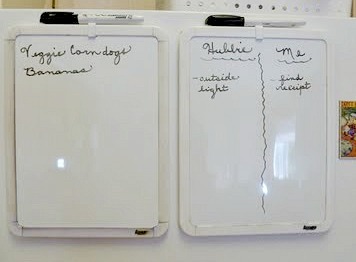 These little easels are easy to find at craft supply stores. 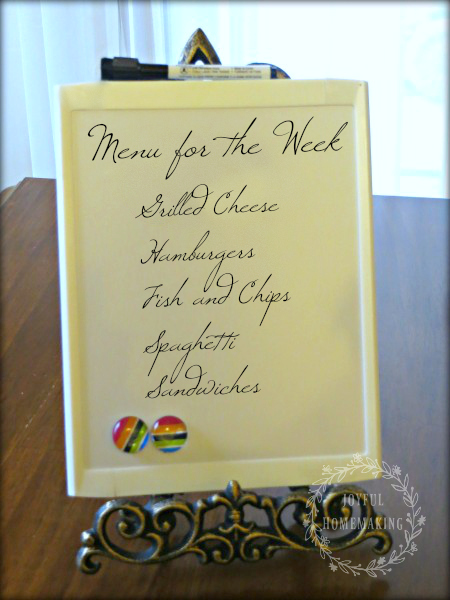 They can also be used to hold a small white board, on which you can write your dinner menu for the week. 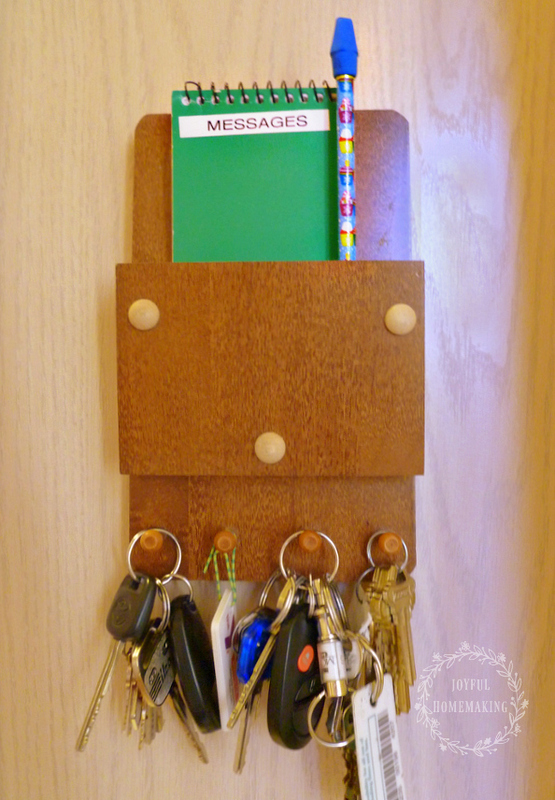 Attaching some cork-board to the inside of a cabinet door, makes a perfect spot for keeping information that you need close! Magazine or file folder holders are one of the handiest organization and storage containers around, because not only can they keep magazines and folders tidy, but they can hold a number of other things as well. They can be used to corral all your kitchen wraps, like your wax paper, aluminum foil and plastic wrap! 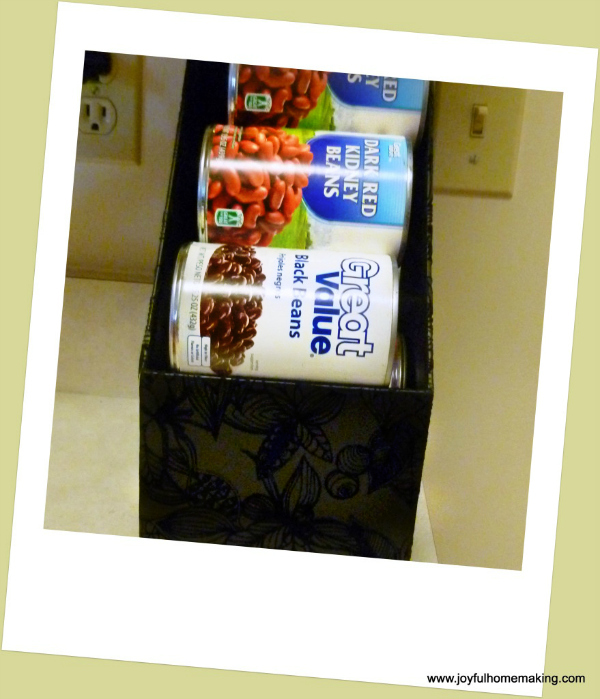 The wider ones can separate and store your canned goods. 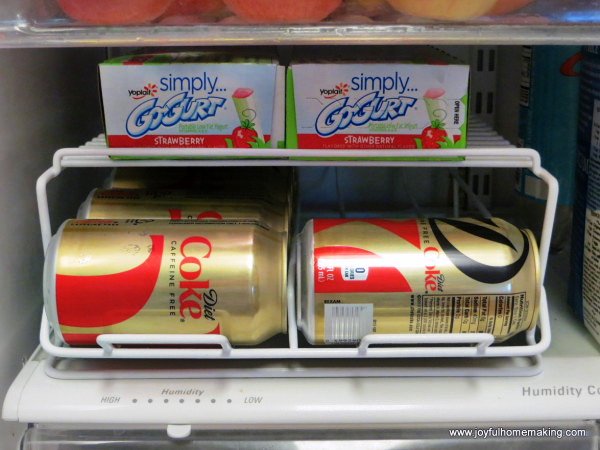 Soda can holders can be used in the refrigerator or pantry to tidily accommodate a bunch of cans, and you can set stuff on top too! 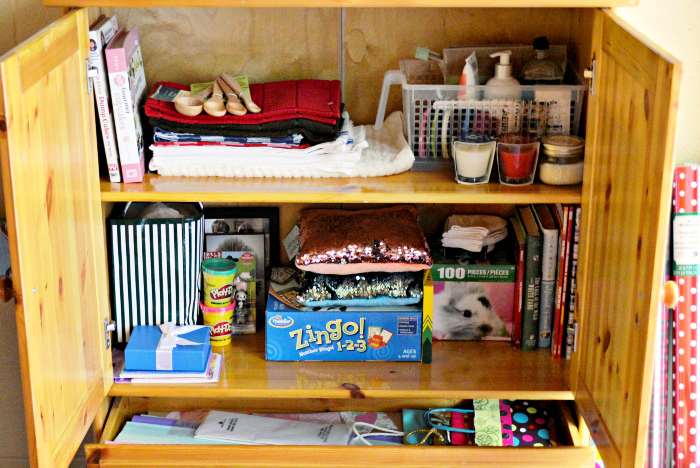 Shoe organizers are another one of those amazing little jewels in the organizing world. They are so handy to separate and store all kinds of things in almost every room of the house. They can be really useful though, on the back of the pantry door. They keep all of the little items that might get lost in the back of the pantry, right out front and accessible. 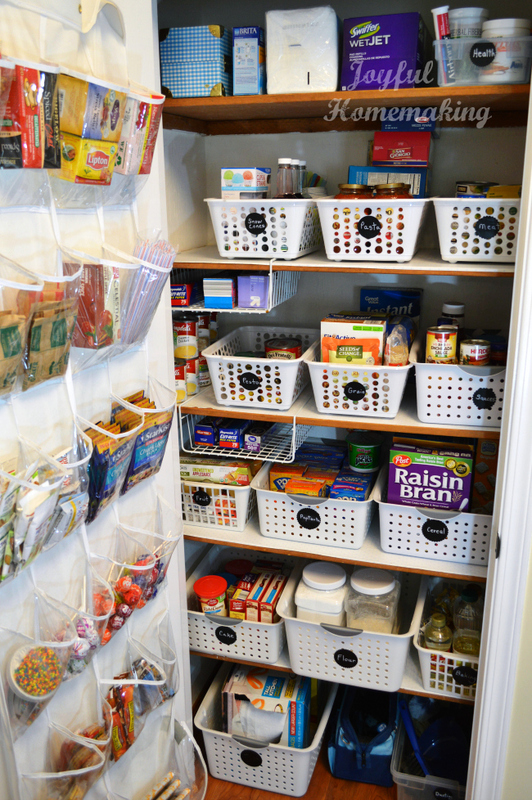 I love my undershelf baskets, and would actually like to get a few more , because they take advantage of the “head space” over short items in your cabinets and pantry, so no space is wasted! or group like things together in an orderly fashion. so you can choose ones that are right for your kitchen! so that you can easily see what you have with just a spin. and they practically double your storage space. 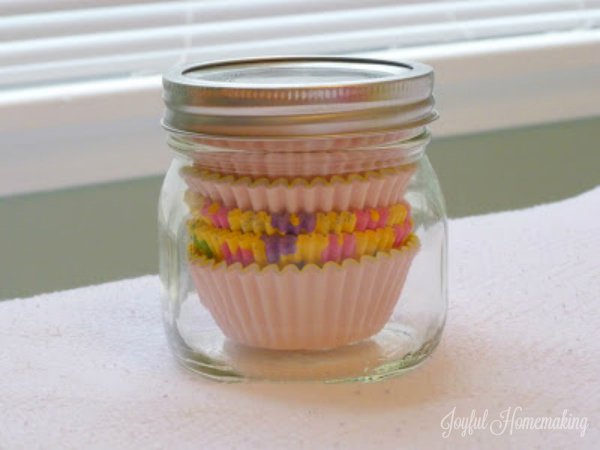 so I can put my teeny little spice jars on it, and can see and find them easily! 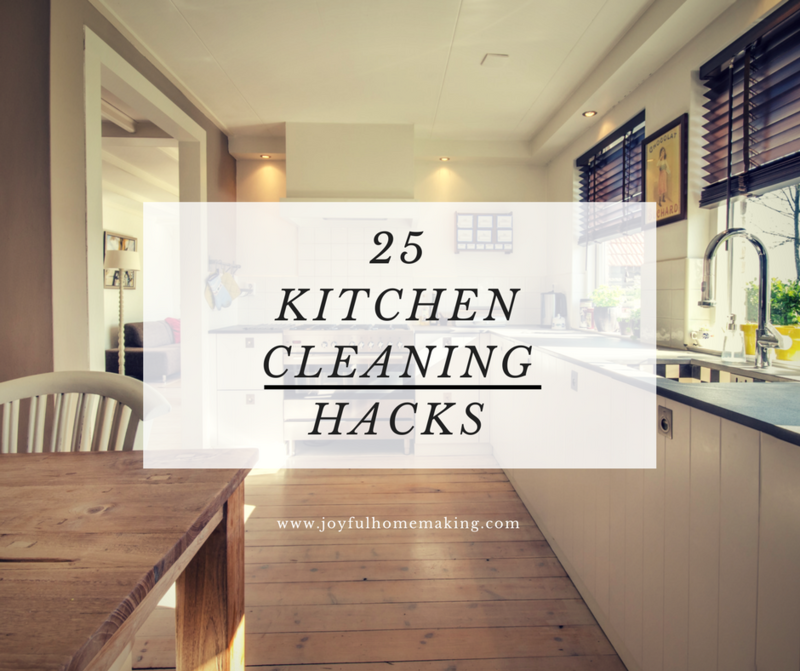 and keeps them clean from drips or spills in your cabinet. Those plastic grocery bags can pile up so quickly, and when we get a bunch we always take them to the recycling center. However, I do like to keep a few on hand for when I need them. 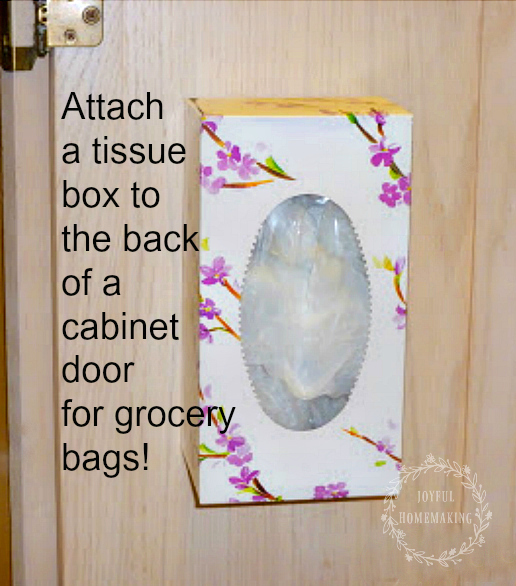 An empty tissue box attached to the inside of a cabinet door, makes a tidy storage spot. Make sure you keep plastic bags up and out of the reach of small children. 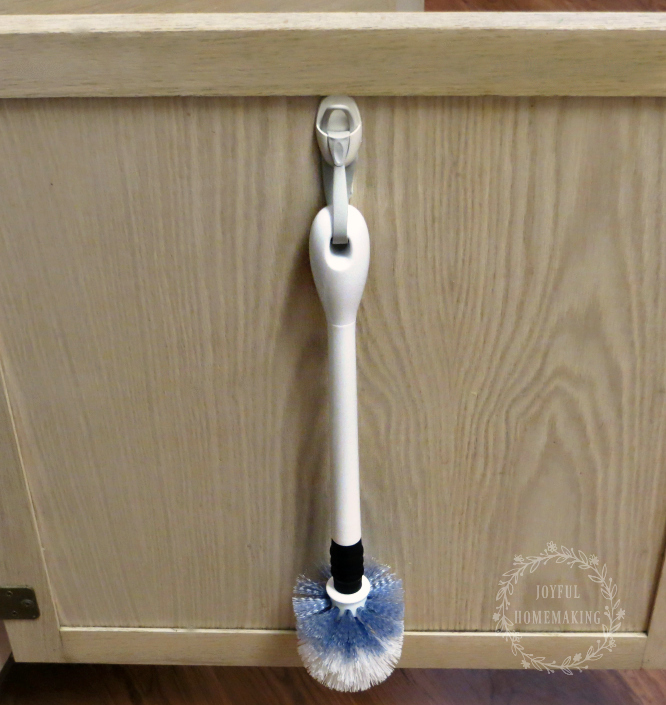 An unused toilet brush specifically for the kitchen, makes cleaning the bottom of a trash can an easier chore, and you can store it on the inside of a cabinet door. 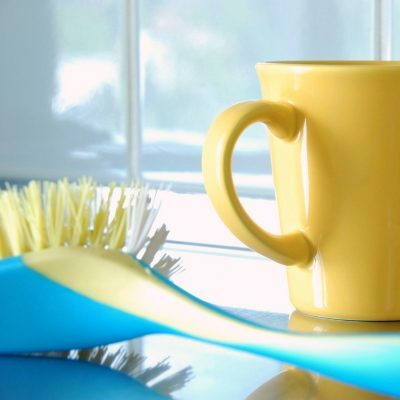 If you’ve ever re-washed a dishwasher full of dishes, because you weren’t sure if they were clean or not…then you need some handy dandy “clean” or “dirty” magnets. That way if someone opens the dishwasher to get a dish out, and the clean light goes off, they can slap the “clean” magnet on. Then everyone knows the dishes are clean, they just need to be put away…No guessing! 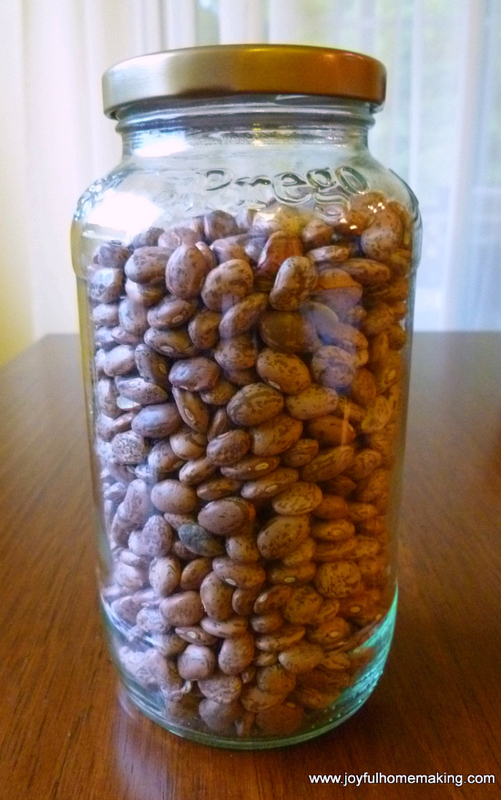 and store your beans and grains in them. for taking messages, and I love it. Having one of these in the kitchen area comes in so handy! Having a place to quickly stash all the paper that comes into the kitchen, in an orderly fashion, makes things so efficient. 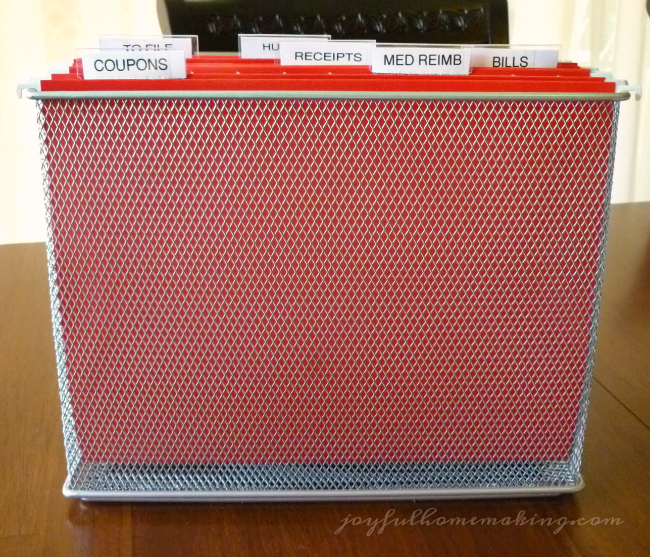 I’ve found that a small hanging file folder on the counter works great! so you can easily see which cord goes to what. 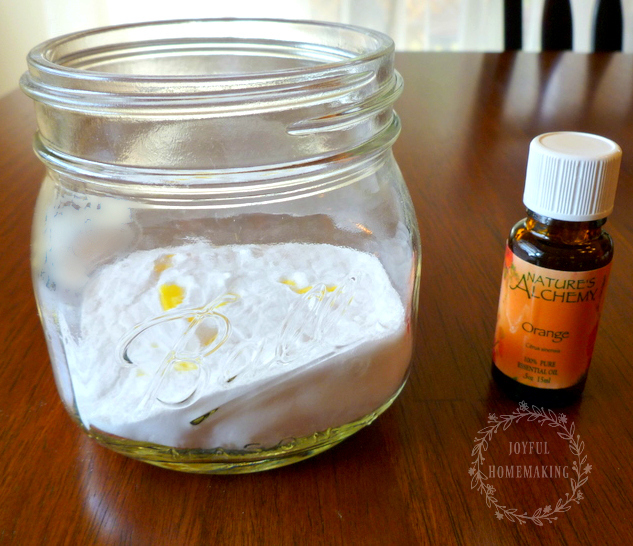 Baking soda with a few drops of orange essential oil, placed in a mason jar with holes poked in the lid, make a nice air freshener. 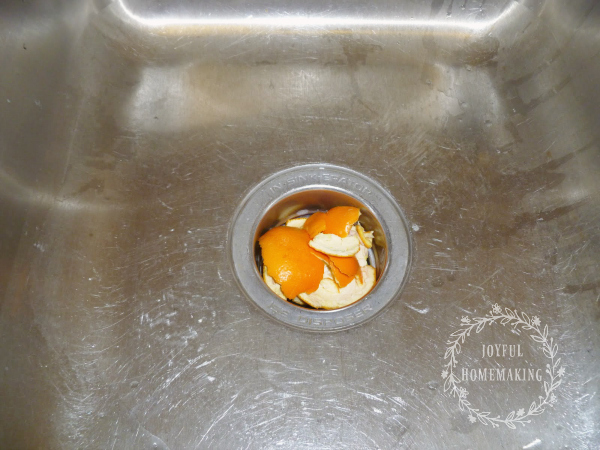 Putting your leftover lemon, lime or orange peels down your disposal, and running it, will give it a more pleasant smell! 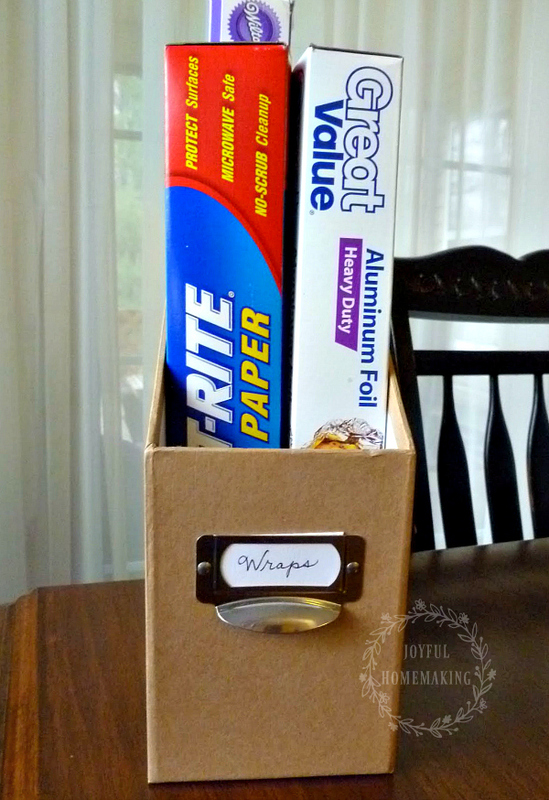 Do you keep a junk drawer in your kitchen? Well, an old muffin pan makes a convenient tool for ordering all the little things. 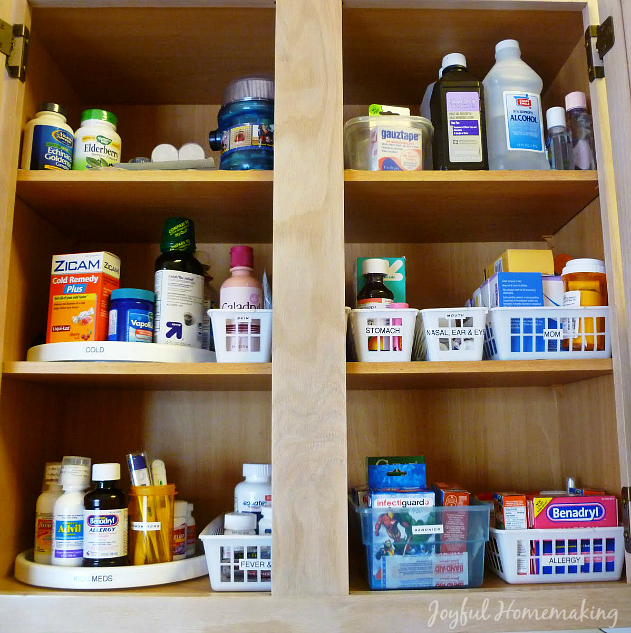 Petite bins (from a dollar store) make arranging your medicines conveniently an easy task. Always keep your medicines up out of the reach of small children! 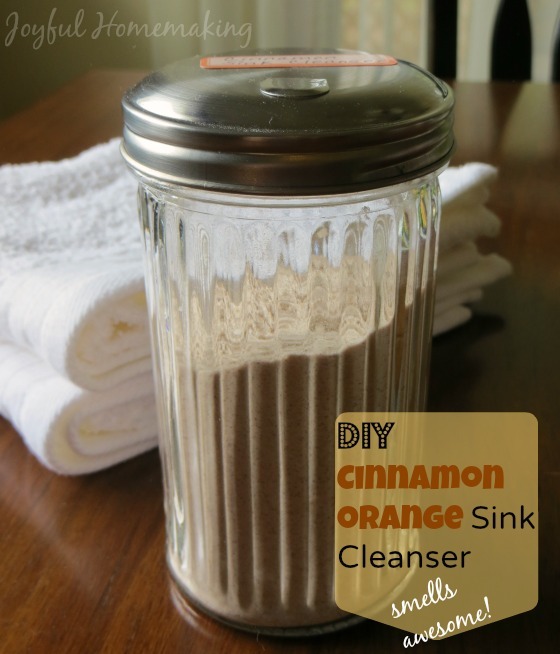 Baking soda, orange essential oil, and cinnamon make a wonderful smelling sink cleanser! 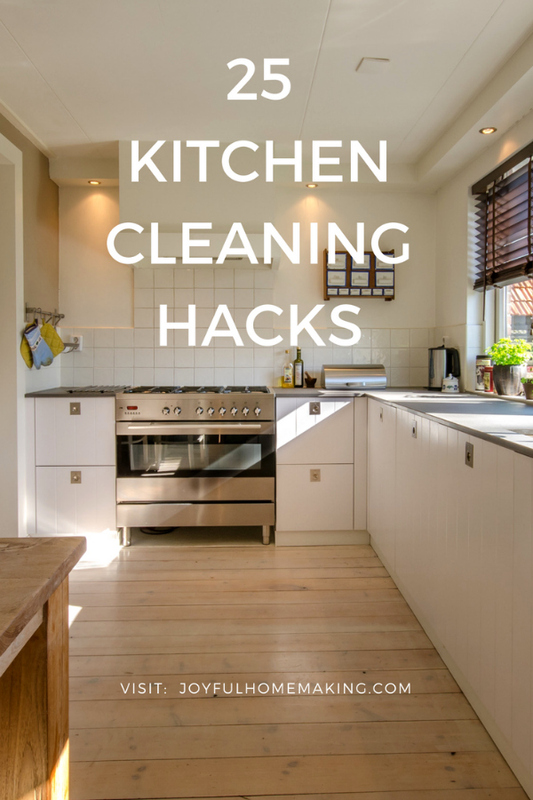 Do you have any kitchen tips you’d like to add? What an amazing set of ideas! I loved all of them! 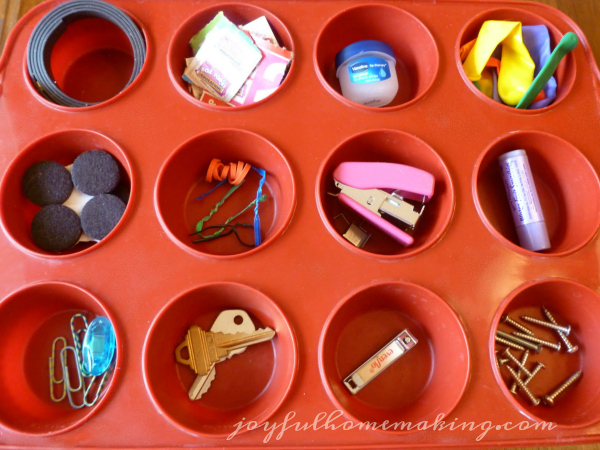 I can not wait to use some of them in the camper to help us stay organized in a small space. 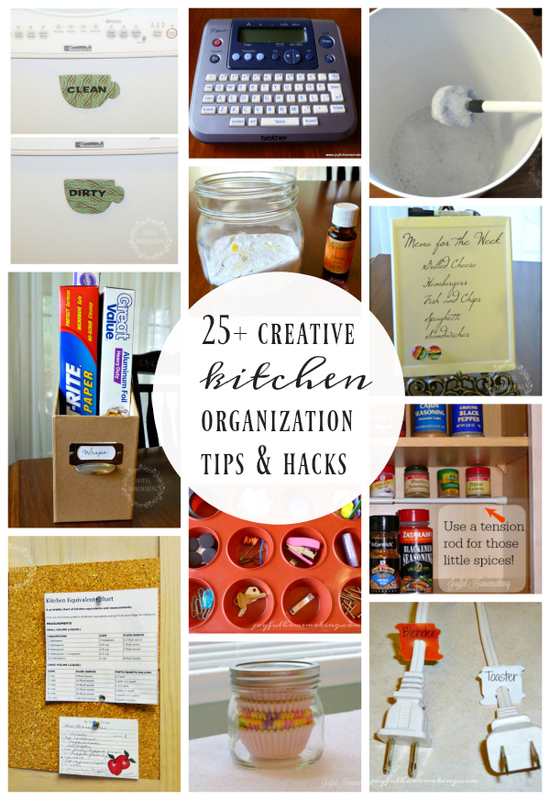 Such wonderful tips and ideas for organizing the kitchen. Thanks so much for sharing! I hope that you have a wonderful week!!! 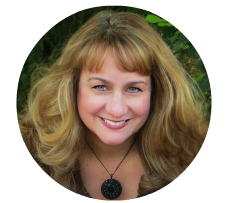 Thank you for sharing these great tips. I have a small apartment kitchen, and I can’t wait to try these. I need a silverware caddy because our apartment drawers are too small! thanks for that tip! 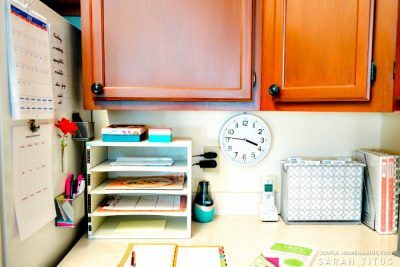 Thank you for sharing this list, there are some really neat, and super cute ideas here I am sure I will be putting into place since my goal this year is to *gulp* organize my WHOLE HOUSE! Oh my goodness!! this is the best list I’ve seen! there are so many things on this list that I’ve never even thought of. 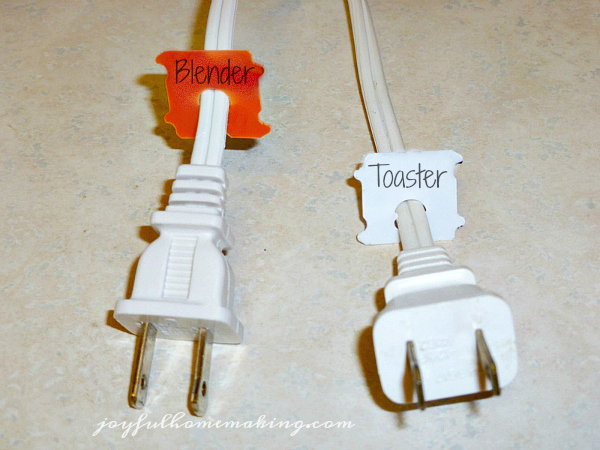 I love the idea if using bread ties to organize your cords, Genius!! 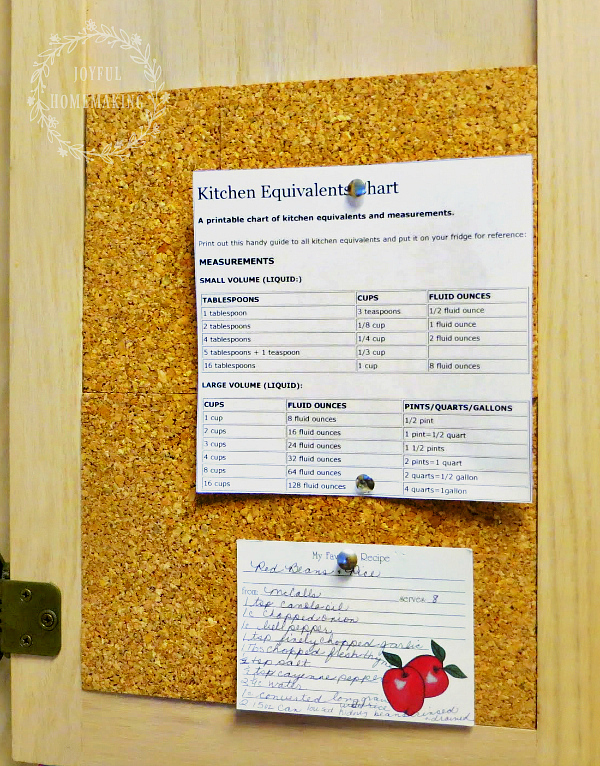 And what a great use of the inside of your cabinets to post recipes on corkboard.Thanks for sharing, this is a definite Pinner! These are some amazing ideas!! The lazy susans are my favorite for spices—I can’t live without them!! Oh my gosh, so many great ideas here! 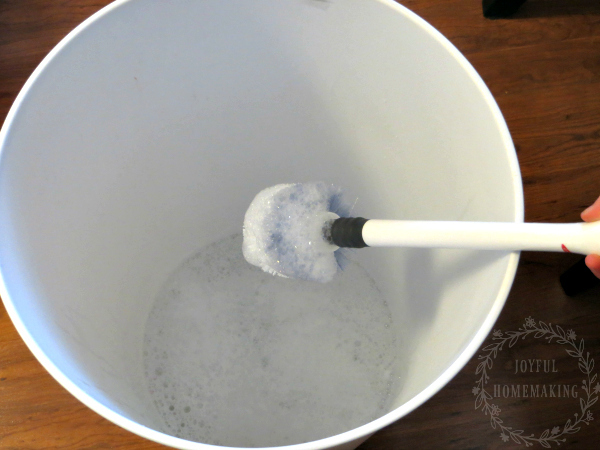 Definitely pinning this for when spring cleaning starts! 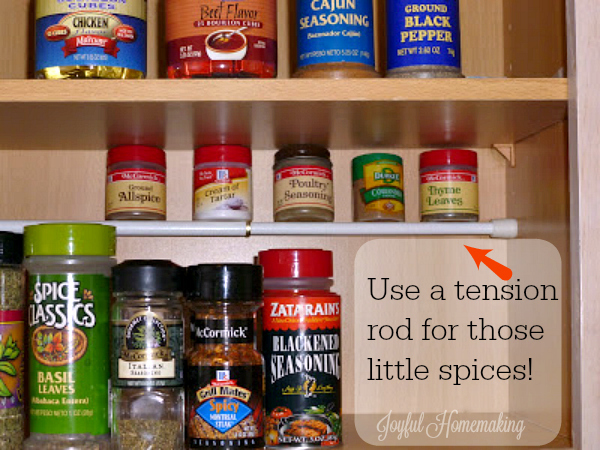 Love the tension rod for little jars of spices! Such an incredibly helpful post! There are so many things I’ve never seen or thought of as far as organization goes. Thank you so much for sharing these with us at Funtastic Friday. Pinned!! Such great ideas for a small space! I will definitely be implementing some of these 🙂 Just as soon as I have time to get organised! Those under shelf baskets are great ideas. I didn’t even know those existed. Wow! Some great ideas here. I had to pin several! Love the tissue box/bag holder idea. Will implement it. Personally, I’d turn the flatware in the caddy downward, so that I could pull it out by the handles. Another hint: I use a three tiered mail sorting caddy to hold all those things I use frequently, such as spatulas and measuring spoons and whisks, that I don’t want to have to search through a drawer for when I need them. I can just grab and use. This is great! I hadn’t seen some of these before. About the file folders, I’ve discovered that keeping one in the fridge makes it possible to round up all the small sauce and condiment bottles. This then lets me keep juice in the fridge door where it can’t get buried behind other stuff. 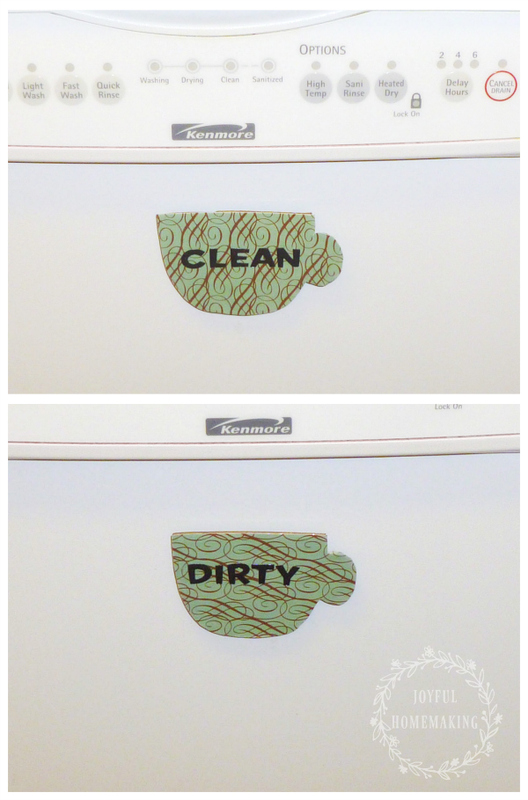 I love the cute shoe rack idea for a food pantry and the dirty and clean stickers for the dish washer. there is nothing better than a clean and organized kitchen!! I love these tips, especially the tension did for small spices and clean/dirty magnets.